THE VIOLIN is undergoing revision and will be released on April 21, 2015 by Fire Star Press. Livia Washburn Reasoner has created a new cover for it. What makes this cover so very special to me is that Livia used a picture of my Uncle John Douglas McNeal on it. I wrote this story about John who died long before I was born. He was only twenty-one when he drown while fly fishing with his friends. My father was devastated by John's death. I wanted to give John the life he never got to live so I wrote THE VIOLIN in his honor and in memory of my father's love for his older brother. Genevieve Beaumont is haunted by dreams of a drowning man. 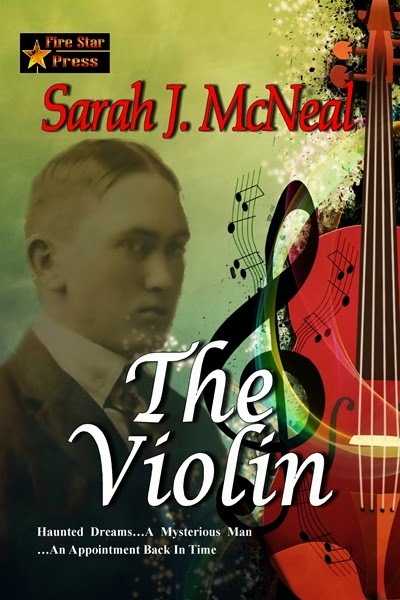 When she buys a violin and discovers news clippings and pictures of its owner and how he died from downing, she knows he must be the man in her dreams and is compelled to investigate his death. Little does she know how her own life is tangled in the mystery…until she steps through the threshold of time to 1927. Pop and I shared a birthday. In the years since his death, my birthdays have never been quite the same. Someone is always missing. In my early years I didn't like having to share my special day with my dad. I wanted it all for myself. But as the years went by, I began to enjoy sharing that cake and birthday greetings with pop. Even now I have my personal tribute to my dad on our birthday. 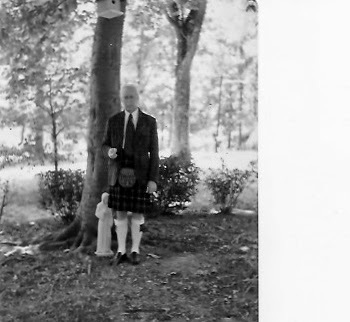 I write a note for him, light a candle, and play his favorite bagpipe tune. It's my way of celebrating his spirit and all the things he ever taught me like the reverence of nature and conservation of Mother Earth. He wasn't a saint. Just like every other parent, he made his fair share of mistakes and missteps. But he was my touchstone. If I had a problem I couldn't solve, Pop was my go-to guru. He was all common sense and rational thought. And he made me laugh. So, today on my birthday, I just want to take a moment to pay tribute my dad. He always had my back. I love you, Pop. Whether you are Irish or have the heart of the Irish, I wish you a happy and very lucky Saint Patrick's Day! !